Type C Camlock Fitting. 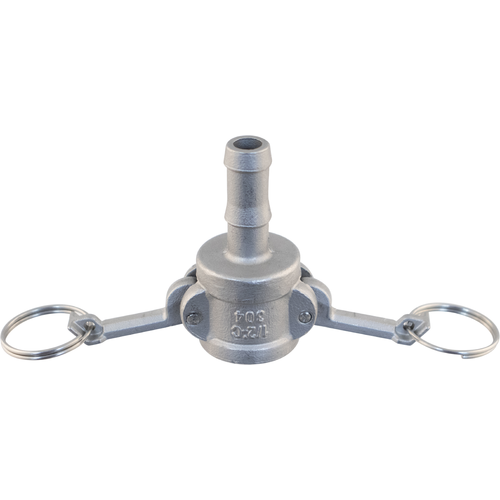 Female Camlock with 1/2" Barb (13mm). 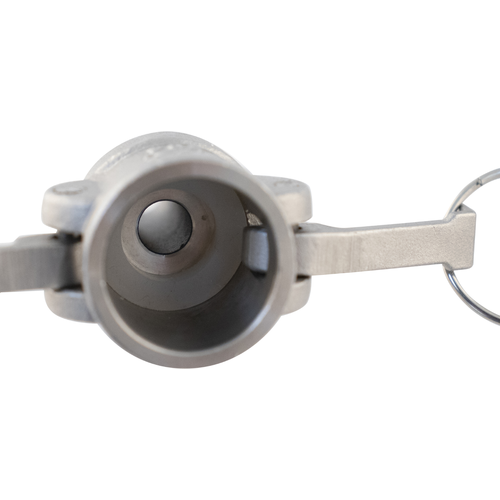 Camlock fittings are the preferred choice for many home and professional brewers alike. 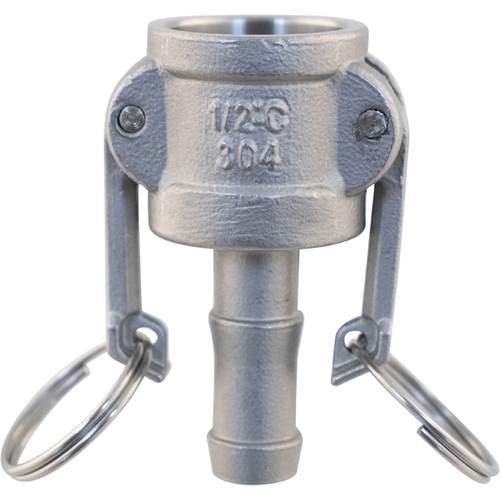 They have a higher working pressure and hold a tighter seal than quick disconnect fittings, making them less likely to leak while in use. Locking and unlocking the female pieces may require two hands, but it's a small price to pay for long-lasting reliability. Based on review from friend.